Chinese characters are not only writing symbols, but also tools for expressing everyday thoughts and emotions. For 30 years, as a pioneer in Asian font solution, DynaComware has nurtured the unique warmth of Chinese characters through digital medium so that each content and message has a more intimate personality and heart-touching quality. The birth of DynaFont can be traced back to 1987. The release of DFKaiSho-Medium, the first stroke composition characters, marked the technical fruition of the DynaFont team. DynaLab Inc. was officially established that same year in Taipei, Taiwan. At the time, personal computers were just beginning to be popularized, not to mention digital Chinese fonts. 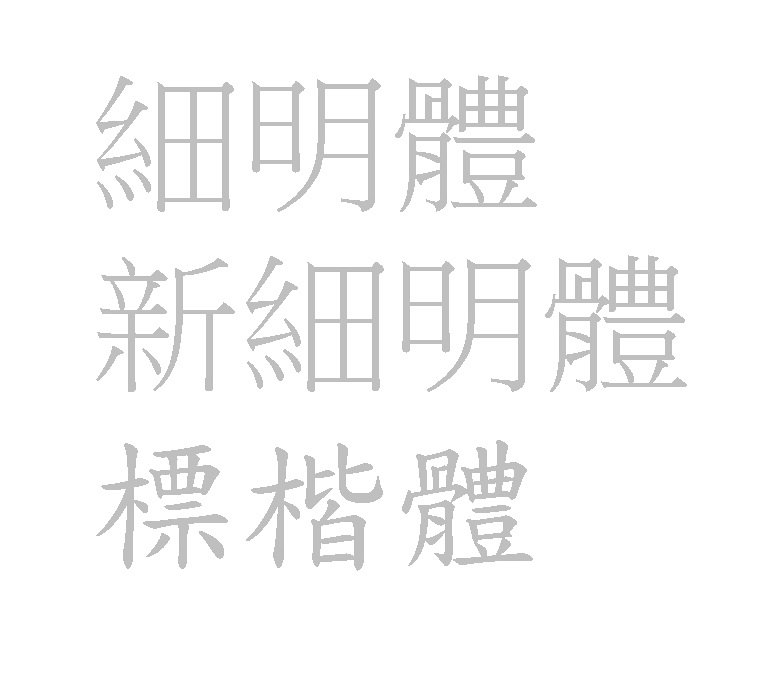 In 1988, DynaFont introduced the PC Multi Font Chinese Display Card and released three basic fonts: DFMingLiU, DFKaiSho-Medium, and DFHei-Medium, opening a whole new era of the Chinese digital fonts. In beginning of 1990, with the popularization of personal computers, companies and individual users continued to increase, leading to the rise in the need for Asian fonts. At the same time, large computer companies started using DynaFont as the default system font, the first company to do so being Digital Equipment Corporation. In 1992, the Chinese Windows 3.1 and Lotus 1-2-3 all used DFMingLiU. 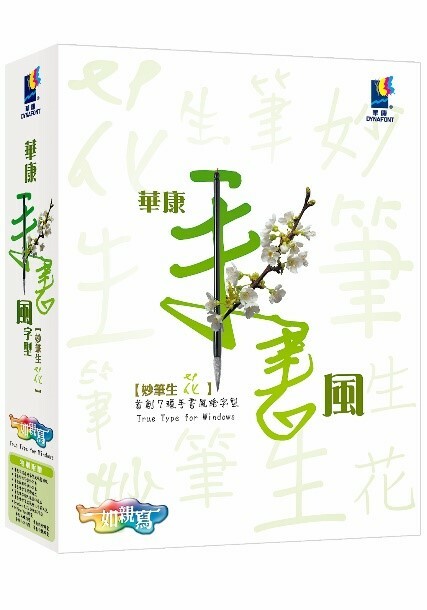 In 1994, the Chinese version of Microsoft word also used DynaFont as the system font, and in 1996, Apple adopted the DynaComware Li Font Series. At this point, DynaFont has become the leading Asian font in the computer world. After the mid-1990s, the need for fonts became even more complex. DynaComware continued to pursue breakthroughs on the technical aspect and developed corresponding software techniques to achieve smooth communication. In 1995, the world's first CJK font was announced in the US, and later the CJK DFMingLiU TrueType font was introduced to support Unicode. In addition, DynaComware Large Chinese Poster Printing System, the first poster-printing machine that supports Asian characters such as Japanese, Korean, and Simplified Chinese, was announced. 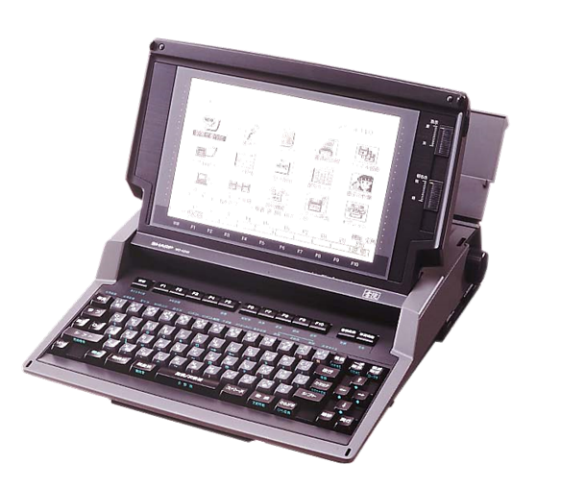 In 1996, DynaDoc, a portable electronic document system, was awarded the Hot Picks award, while in the following year it was also awarded the Outstanding I.T. Applications / Products Award in Taiwan. As electronic platforms continue to diversify in the 21st century, displays have become an unstoppable trend. This means that the market needs more fonts that have more fineness and can be used when browsing different platforms and devices. In 2003, DynaComware was the first to develop OpenType fonts that cross PC and MAC operation systems, providing users with font formats that are higher in quality. Later, Dyna WebFont, fonts that were specifically designed for the internet, was introduced with an innovation that broke through the barriers of displaying fonts on the internet. In 2004, the company developed a proprietary font solution, the DigiType, which is high in fineness with less bulk. In 2010, the publish of new technology “Liang Tzu Engine” allowed different displays to have outstanding font performance. At the same time, the “UD Font” has the character of recognition and readability, allowing crisp type even on small screens. Since 1988, DynaComware has been more active in the Japanese market and was popularly received by large companies. In 1988, SHARP, the largest manufacturer of word processors, chose the DynaComware PC Multi Font Chinese Display Card, and was chosen as the font developer for the Panasonic word processor the following year. 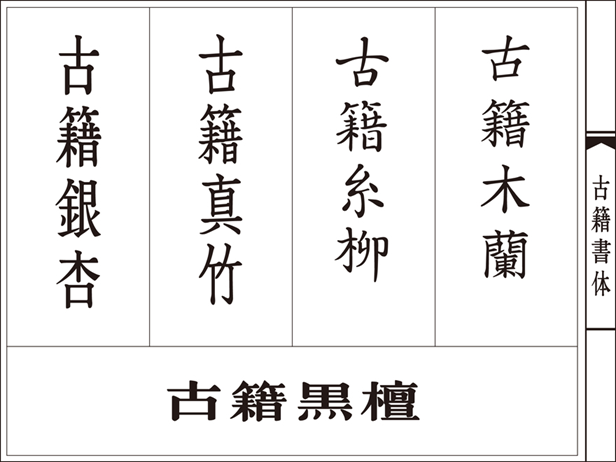 In 1990, two Japanese fonts "MingLiU" and "DFHei-Medium" successfully entered the Japan market. In 1992, DynaComware introduced the Japanese Font Display Card and the following year, more than one million sets of font products were sold, and the Japanese office was officially established. DynaComware's efforts in Japan have enabled it to be among the few foreign font companies in the local market and even sold seven million sets the following year. According to a market survey by BCN, DynaComware was NO.1 among the annual Japanese font software. For 15 years (as of 2015), DynaFont are seen in the streets and daily lives of Japan, truly a remarkable scene. DynaComware continues to pursue innovation and advancement, in addition to making efforts in the wider global market. In 2002, the four sets of DynaComware Simplified Chinese GB18030 coding received the official certification as a national standard and provided font services that meet Chinese National Standards for various large companies across the world. In 2004, DynaComware collaborated with font company Ascender Corporation to develop Chinese and Korean types for Google's Android system. There were also breakthroughs and innovations in the concept of font development. DynaComware hoped to depict the unique quality of paper on to the screen and introduced several handwriting style products. With the popularization of small screens since 2013, the Hannotate and HanziPen are fonts specifically designed for small screens. At the same time, the design team spent years selecting five ancient books with the most beautiful Chinese characters and created the "Rare Books Series" which won the 2014 Japan Good Design Award for its cultural and historical significance. In 2015, DynaComware conducted an all-around CI update and designed a new logo that was composed of the Chinese character "華(hua)," presented by elements of nine-boxed writing grids used in Chinese calligraphy and the printing plate, to express the company's corporate values. While committing to the design of Chinese characters, DynaComware has always pursued the aesthetic spirit and technological innovation so that characters can be presented with a sense of liveliness. In the future, DynaComware will continue to pass down the legacy of the culture of Chinese characters, giving life to characters and conveying universal sentiments.